The ACT Government wants to encourage more people to exercise on their way to work or at lunchtime. Have your say on the proposed changes for new buildings and major extensions or alterations to buildings to have secure bike parking, change rooms and other end-of-trip facilities. To encourage more people to exercise on their way to work or at lunchtime, the ACT Government is proposing changes to the requirements for buildings to have secure bike parking, change rooms and other end-of-trip facilities. The ACT Government has prepared a Draft Variation No 357 – End-of Trip Facilities General Code (DV357) to vary the Territory Plan. DV357 is proposed to replace the Bicycle Parking General Code of the Territory Plan by introducing an End-of-Trip Facilities General Code. 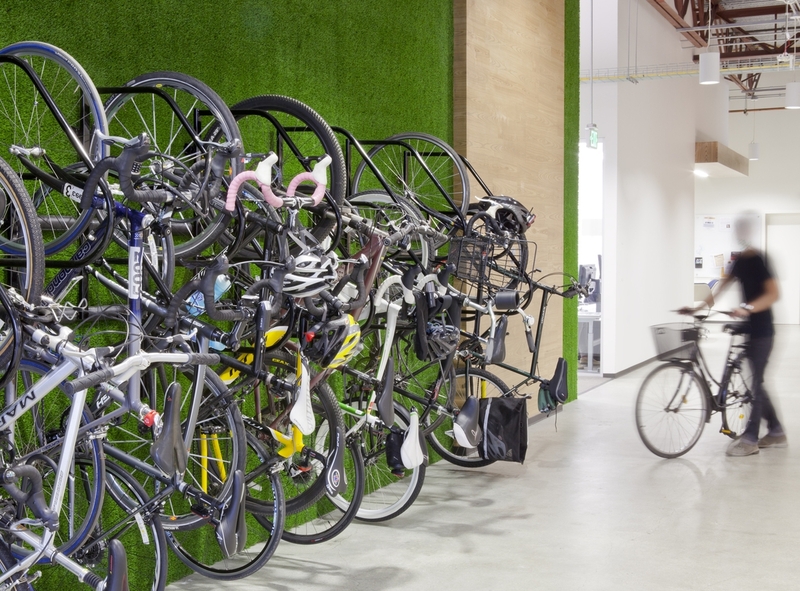 The proposed End-of-Trip Facilities General Code aims to encourage employers to provide secure bike parking and change rooms (including showers, lockers and drying facilities) for employees who ride, run or walk to work—or who exercise at lunchtime. The new code will apply to new buildings and to major alterations or extensions to existing buildings, or changes of use that require approval by the planning and land authority. End-of-trip facilities will no longer be counted as part of gross floor area (GFA) calculations of new and current buildings that are constructed or refurbished, giving building owners an incentive to build facilities. The code introduces practical measures to implement the government’s Active Living and Active Travel programs. It will encourage more people to include exercise in their daily activities, such as going to work, and to reduce barriers that might prevent them being more active. When more people exercise while going to work, they have better health and there are fewer cars on the road contributing to congestion and pollution. We are asking the public and industry for their thoughts on end-of-trip facilities and proposed changes to the code and to tell us if there are any adjustments required to ensure the revised code is workable. During the public consultation period between April and June 2017, five written representations were received. The engagement gave stakeholders the opportunity to provide feedback via the Your Say website, written correspondence, quick poll survey and face to face meetings. A wide range of stakeholders were consulted including key groups such as Australian Institute of Architects, Planning Institute of Australia, and Property Council of Australia. All the submissions welcomed and supported DV357 and provided comments. The majority of the feedback received included common themes such as justification on the proposed bike parking rates, clarification on definition of gross floor area regarding end-of-trip facilities (EOTF), and flexible location of EOTF for existing buildings. From the feedback provided by the community and industry, it shows that there are further adjustments required to ensure the revised code is workable. The ACT Government has continued to work with key stakeholders to address concerns. EPSDD has worked closely with interested industry and community stakeholders aiming to refine and further improve the code. The Draft Variation is being amended in response to the community and industry public submissions received and will be made available for public comment again later in 2019. 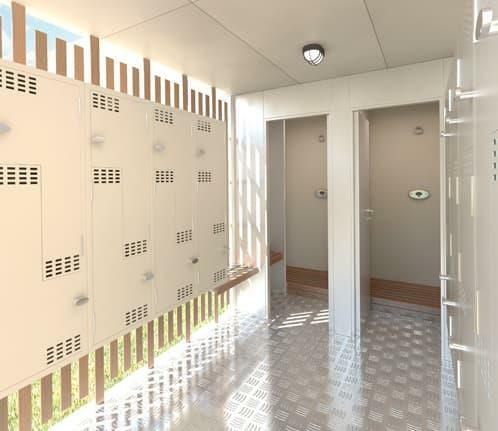 Would bike racks or shower facilities motivate you to ride or walk to work? To contribute you must sign up or login. “End-of-trip facilities are designated places within a workplace that support cyclists, joggers and walkers in using alternative ways to travel to work rather than driving or taking public transport. These types of facilities also benefit people who exercise during their lunch break. 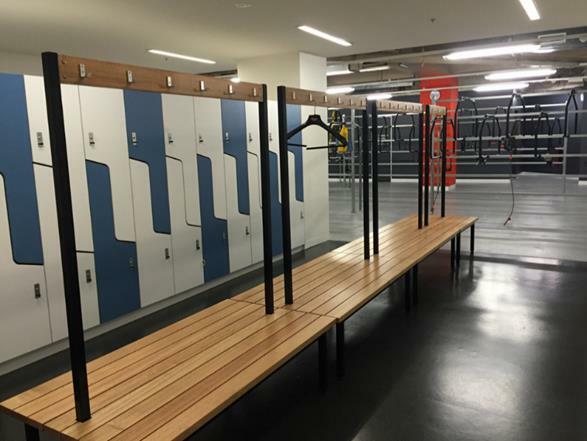 End-of-trip facilities include secure bicycle parking, locker facilities, and change rooms.